Organic toothpaste at a great price! enjoy your choice of organic toothpaste for just €5 with any purchase. *Your choice of organic toothpaste for just €5 with any purchase. 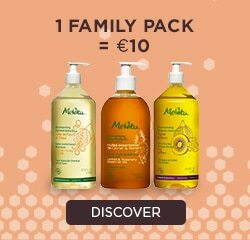 Offer can be used at Melvita.fr or in store from 13/02/2019 to 16/04/2019 inclusive while stocks last. Product appearance may vary.